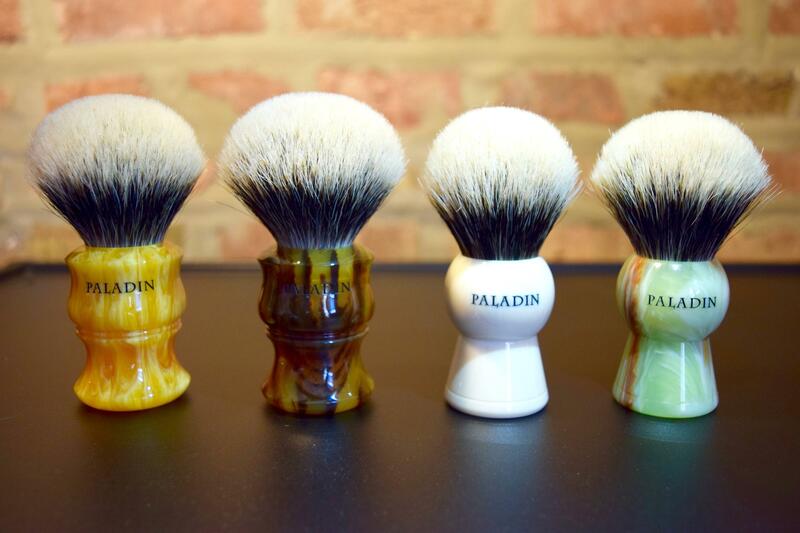 I've been fortunate enough to collect a few Paladin brushes for the den. 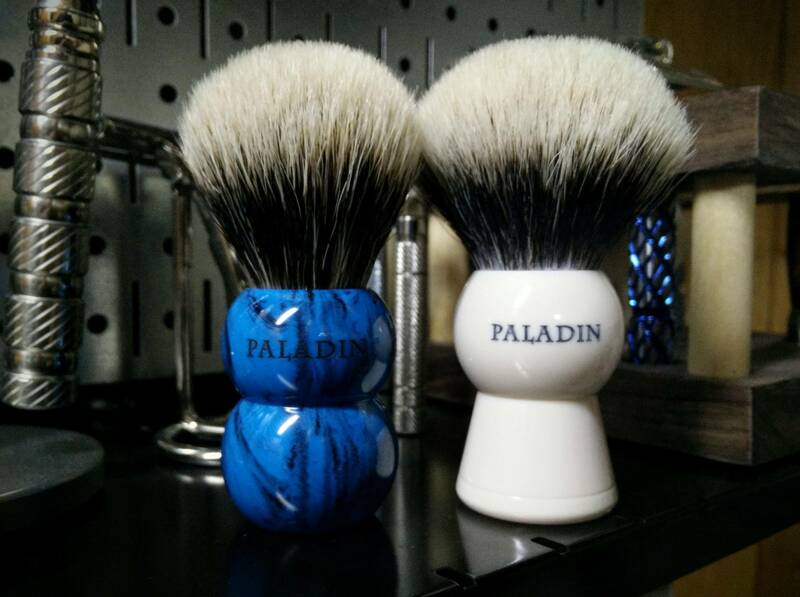 The knots (especially the Select knots), rods, polish- (highest) quality and classy is how I would describe a Paladin brush. Below are a few pics of the collection, feel free to share pictures of your Paladins. Thanks for looking, happy shaves! A few?! You're starting an army! 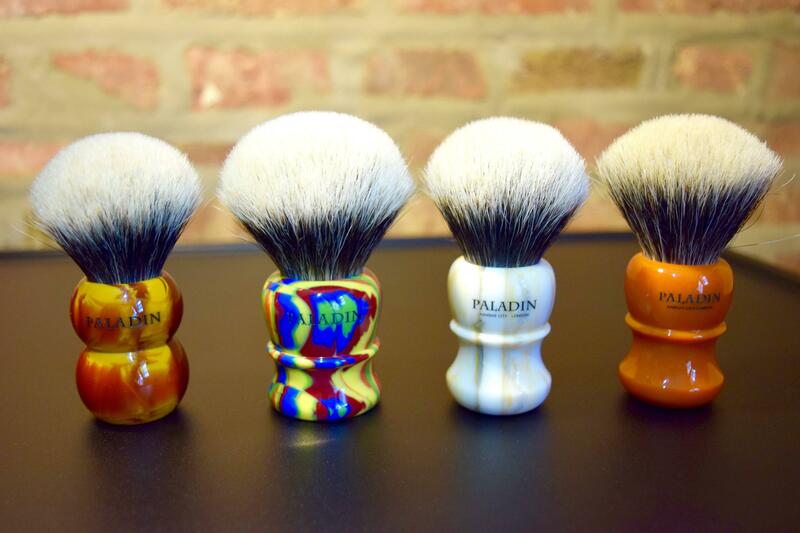 Beautiful Paladin collection. Ha! 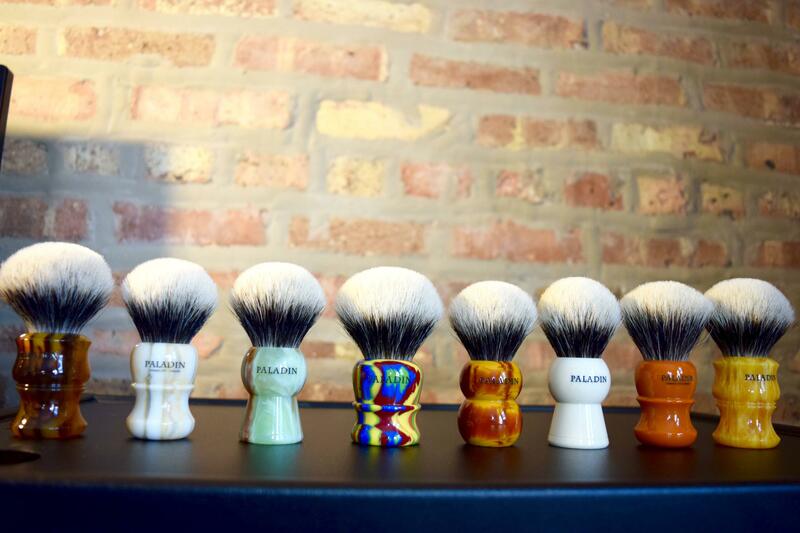 The brushes aren't from just one release. They do fly off the shelves, that's for sure. Your best course of action is to tread lightly. I have a Sumo in Cobalt and a Sherlock in Somerset. (06-11-2016, 08:13 AM)bakerbarber Wrote: I have a Sumo in Cobalt and a Sherlock in Somerset. Awesome, Todd! The cobalt is so good. Thanks. I agree. Very nice with a depth that doesn't translate to photos. I especially like the Strawberry Amber Sumo you've got Jorge. Congratulations on the keep you've assembled. I appreciate you taking the time to share with us. An impressive and versatile representation of the brand. Very nicely done! Do you have any you reach for more often? I'm having trouble scrolling back up to the original pictures. That Lemondrop Lotus is my white whale. Jorge, My post was tongue in cheek. You are fortunate and haven't done anything of questionable gentility like reselling on EBAY or trying to trade for a Darwin. Still, be carefull. The Shaving Gods may visit you with a onset of sensitivity to your favorite soap or something else Homeric. (06-11-2016, 08:33 AM)bakerbarber Wrote: Thanks. I agree. Very nice with a depth that doesn't translate to photos. Thanks, Todd. I try my best to rotate evenly. That being said, I love the way the Lotus feels in hand and the 28mm Falstaff knot is just amazing. (06-11-2016, 09:07 AM)kav Wrote: Jorge, My post was tongue in cheek. You are fortunate and haven't done anything of questionable gentility like reselling on EBAY or trying to trade for a Darwin. Still, be carefull. The Shaving Gods may visit you with a onset of sensitivity to your favorite soap or something else Homeric. Ha, understood. To appease the Gods, I might have to offer up a sacrifice of some sort. Maybe a squirt of Floid Blue down the sink? Nah, that's just crazy. I do enjoy your posts, btw. Let the Gods buy their own damned FLOID. When they become to godlike Mankind hires new ones at lower wages and benefits. Extremely Lucky and beautiful brush!!! I love the look of the cobalt's. Ill eventually be able to get one before they sell out. (06-11-2016, 07:33 AM)chiefthunder Wrote: Happy Saturday, Nookers! Amazing collection!!! They are all lookers.